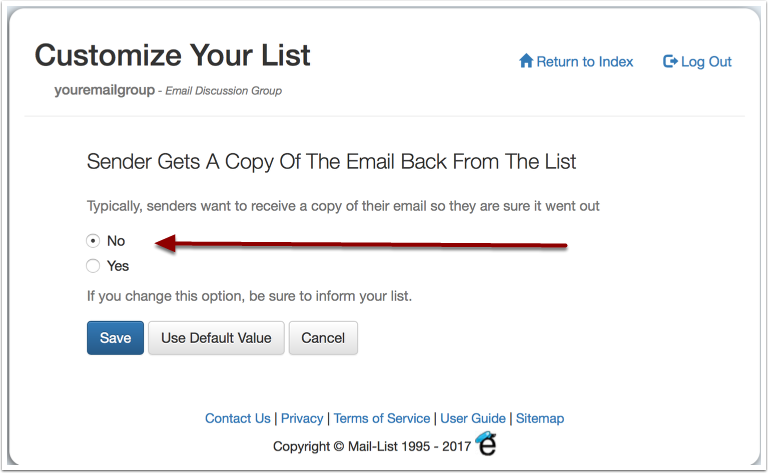 User ManualEmail Discussion Group User Guide TroubleshootingWill subscribers receive a copy of the messages they send to the mailing list ? Yes, with the default settings. Emails are sent to all members on the mailing list, as of the time the message was sent. Even the person sending the emal will receive a copy of their message. Each list can turn that option off. Change to No, and Mail-List.com will not send the message back to the poster. All other members of the mailing list will get the message. 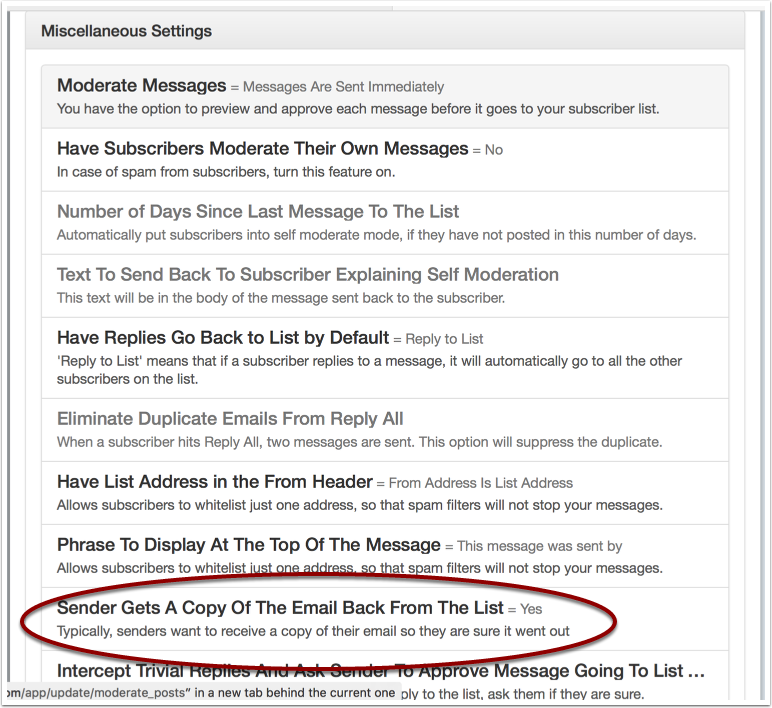 Beware that a common spam filter rule is to block emails coming from their own email address. Therefore, even with the default settings, some subscribers may not get their own messages, due to their spam filter or ISP protecting them.